Mexico is a country of contrasts where luxury meets poverty just outside your 4 star resort facility, a country of sandy beaches and rain forest jungles, a place where a thousand year old culture meets a billion million dollar travel industry and where anything is possible. One of the most traveled destinations Mexico draws tourists from USA and Canada due to its close proximity and affordability. Mexico vacations combine perfect beach activities mixed up with thrilling jungle adventures and cultural explorations that are worth coming for year after year for families, couples and singles alike. According to Mexico travel tips you should expect to pay the most money for your Mexico vacations starting mid December and all the way through the Easter break, this is definitely the high tourist season in the country. Consider booking a little bit before or after it and you are in for a treat of saving yourselves hundreds of dollars. Our Mexico travel guide suggest you start booking your next vacation for November due to its low tourist concentration, generally lower prices and superb temperatures that have considerably cooled off after sweltering summer. Our Mexico travel guide strongly urges you to check government travel advisory website that warns you against visiting certain places in the country, especially Tijuana, Chihuahua and Nogales, which have recorded incidents of violence acts and overall drug-related unrest. Government travel guide advisory informs that most established tourist places are safe to visit as these are heavily patrolled by squads of tourist police, however, caution should be observed when traveling outside these areas alone. All travel guide gurus agree that Christmas and spring break are one of the least recommended times to visit Mexico due to high crowds and prices that do not allow for peaceful and enjoyable exploration. Mexico City tops our list of Mexico attractions that are simply a must to visit at least for a portion of your vacation getaway. One of the busiest, smoggiest and bustling cities in South America, the capital of Mexico never ceases to amaze with its wealth of cultural venues, historical offerings and a variety of sceneries and landscapes. Within the city limits visitors can see plenty of sights including its Zocalo Square where a lot of city attractions are centered. Most Mexico guides recommend you start your historical exploration from Aztec Ruins located in Teotihuacan which is about an hour bus ride from the city. 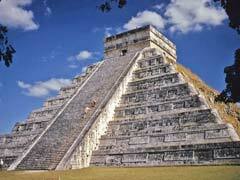 Marvel at ancient ruins and pyramids that tourist can even challenge themselves and climb. Cancun is Mexico’s capital for party going spring breakers that are drawn to it like flies to honey. Perfect beaches, cheap lodging and 24/7 bars and restaurants create an atmosphere of a party that never comes to a halt. Apart from partying and beach activities many tourists love setting on day trips to explore Mayan Ruins of Chichen Itza. The day trips that last approximately 12 hours collectively include transportation, touring of Chichen Itza archaeological site, having fun at Xcaret Theme Eco-Park, visiting sacred cenote and adjacent structures, and even sampling Mayan cuisine prepared according to authentic recipes. Cozumel located some 70 kilometers south of Cancun is one of the best locations for diving and water sports activities due to its gorgeous underwater reef system. In addition, this Mexican destination is one of the most important cruise ship ports that bring a lot of tourists annually. While in town, make sure to pay a visit to its famous museum that showcases what the Isles are known for, their flora and fauna, and, of course, Mayan history. Do not miss popular attraction Parque Chankanaab where you can book a diving or snorkeling trip to experience the underwater beauty of Mexico. Smaller Mayan complex that was devoted to San Gervasio is for you to explore, however, the site is very poorly preserved. Playa del Carmen is one of the best vacation destinations in Mexico that is perfectly balanced to include relaxation and activities that could be enjoyed by virtually all types of travelers that comes recommended by almost all travel guides authorities. Its location in the heart of the Riviera Maya and its relative distance from busy and crowded cities place it on the top of destination choices for many tourists from North America and Europe. All streets in Playa lead to the beach including its hip 5th Avenue that turns into one of the liveliest nightlife areas of town as soon as the sun goes down. Playa is perfect for swimming, snorkeling and scuba diving, especially if you head south of the town to one of the less crowded beaches. Ideally located within a short ride from its neighboring islands, Playa is the perfect place to set on excursions and day trips. Acapulco is one of the flashiest and busiest resort towns in Mexico that was frequented by celebrities back in the days from Frank Sinatra to Elizabeth Taylor and even honeymooning JF Kennedy couple. Some of the glitziest resorts, high end restaurants and splendid villas are perched on the map of Acapulco like precious gems. However, just steps away from the designated resort zones you will find a busy and smoggy city with high crime rates that does not allow for too much relaxation. Apart from that, its gorgeous beach line and an abundance of nightlife hot spots create one of the most coveted vacation spots among younger travelers. Los Cabos is actually two sister villages situated at the southern part of the Baja California Peninsula in Mexico, Cabo San Lucas and San Jose del Cabo. It’s the place where tourists come to watch the whales and sea lions, and see one of World’s Heritage sites, “The Arch”, which presents a rock formation that proudly rises from the water in a shape of an arch. Soak up the colonial atmosphere of the resort, set on snorkeling and scuba diving and feast on local cuisine that is famous for ceviche and other seafood fare. 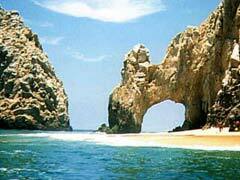 Mazatlan is a less “touristy” resort and an important sea port in the state of Sinaloa in Mexico. According to our Mexico travel guide, this Mexico travel destination will be much appreciated by travelers looking for exploring the historical and nature sides of Mexico. The town packs colonial charm expressed in its restored buildings, historical lighthouse and opportunity to explore Mexico off the beaten path. Its unique beach that is 20 km long is great for any type of water sports, frolicking in the sand and exploring its famous Golden Zone that packs anything from souvenir shops to cafes and everything in between. Puerto Vallarta is one of the premier Mexico vacations destinations for tourists who value luxury, comfort and lifestyle. Tucked away at the Bay of Flags, Vallarta offers everything for the tourists and more including powdery sandy beaches with perfect palm tree seascapes, mountain sceneries and high end restaurants and nightclubs. In addition, Vallarta is one of the favorite destinations for gay travelers due to its cosmopolitan sophistication. Whether you fancy mountain biking, scuba diving, watching bullfights or taking a leisurely day cruise you will be able to find it all here. Ixtapa is a perfectly manicured resort that comes with a very expected set of facilities including a row of hotels and chain restaurants. This resort destination might be so perfect that it lacks character and spirit. Some Mexico travel tips suggest that this destination is not for travelers looking to experience authentic cuisine, lifestyle and a spirit of the country but might be better suited for travelers seeking just a beach getaway rather than an experience. A neighboring resort town Zihuatenejo, on the other hand, once a fishermen village has become one of the quaintest Mexican villages offering a perfect beach lifestyle coupled with the most authentic eateries and artisan shops. 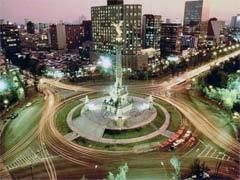 Guadalajara is one of the biggest cities in the country that packs plenty of cultural places for you to explore. A lot of Mexican traditions took roots from this specific area including mariachi musical style, tequila, sombrero and many more. The city boasts colonial style architecture and a variety of cathedrals and museums that are worth exploring along with handmade craft stores and authentic regional restaurants. Without a doubt our Mexico travel guide has only touched the tip of the iceberg of so many wonderful places you can visit in Mexico, there are so many more out there for you to explore.